In 1983, on her nineteenth birthday, Zora Adams finally says goodbye to her alcoholic mother and their tiny town in the mountains of South Carolina. Living with a woman who dresses like Judy Garland and brings home a different man each night is not a pretty existence, and Zora is ready for life to be beautiful.With the help of a beloved teacher, she moves to a coastal town and enrolls in the Davenport School of Beauty. 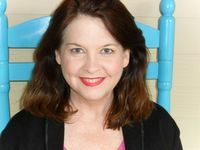 Under the tutelage of Mrs. Cathcart, she learns the art of fixing hair, and becomes fast friends with the lively Sara Jane Farquhar, a natural hair stylist. She also falls hard for handsome young widower Winston Sawyer, who is drowning his grief in bourbon. She couldn’t save Mama, but maybe she can save him.As Zora practices finger waves, updos, and spit curls, she also comes to learn that few things are permanent in this life—except real love, lasting friendship, and, ultimately… forgiveness. Zora Adams, with the encouragement and support of a high school teacher, gets a scholarship to beauty school in a town on the Carolina coast. Zora's mother is an alcoholic, Judy Garland-wanna-be, always looking for her next man. When Zora finally makes it out of the house, she never looks back. Once settled in an apartment in exchange for cooking with Winston Sawyer, a young widower, Zora also meets her first real best friend and natural stylist, Sara Jane Farquhar. 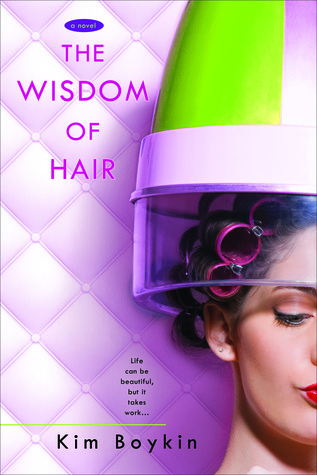 As the two attend the Davenport School of Beauty under the tutelage of Mrs. Cathcart, Zora helps Sara Jane pass the book part of the school, while Sara Jane provide the family that Zora never had. Zora's relationship with her landlord, Winston, is a bit of worship from afar and as Zora tries to unravel the mystery behind his now deceased wife, she finds little clues tucked around the apartment. She puts these clues together and with bits and pieces collected from the town, she learns some devastating facts about him and why he now drinks so much. In her heart, she wants to save Winston from the alcohol since she could never succeed with her own mother. Her relationship with Sara Jane is just magical and as she gets to know Sara Jane better, she learns more about herself. As the pair start to date and Zora moves in with Sara Jane's family, things get a little bumpy when it comes to boys. This story is just beautifully written, the characters are all believable and you really want to root for Zora to succeed. The girls' friendship is one of those that you always wanted, someone who is there for you always. Even though Sara Jane's parents are very religious, you can feel the love that they extend to Zora and how her mother supported her when she needs it most. This is a wonderful summer read! I always wished I could do hair but alas I cannot.